Czech Plastic Production offers its customers an extensive product range in this area. 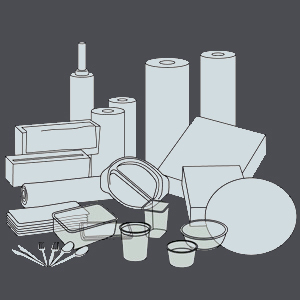 Alongside plastic and paper carrier bags, we offer a selection of catering items that includes everything from coffee-to-go mugs to individual packaging designs for snacks of all kinds up to food trays – our customers can choose a range of individually tailored packaging solutions according to the needs of their customers. Our service range not only includes the optimal product, but also individual consultation up to reliable supply of the product.